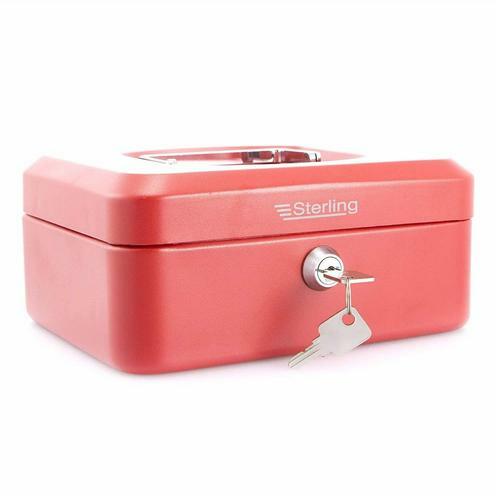 The Sterling 8" cash box benefits from a secure lock which is supplied with 2 keys. There is a strong recessed metal handle and the box has rounded corners. Inside there is a removable partitioned coin tray.